The Fall collections have been steadily rolling out at counters over the last month, and one that caught my attention was this group from Clarins, a brand that is rather underestimated in my opinion. The Graphik Fall 2017 Collection has a simple yet effective message: “express yourself” … words I practically live by. For the record, the ad campaign (below) pretty much sums up my #beautygoals for the season, including the wrist embellishment. I mean … stunning, am I right? 06 Forest Palette 4 Couleurs (CAN $45.00) | The four hues of this palette so perfectly echo Autumn: 2 green shades, one subtle and satiny with the other deeper and shimmery, 1 dark grey in a matte finish, and 1 pale pink in a soft satin finish. Made with Carnauba wax powder which enhances comfort and long wear, and enriched with mineral pigments that provide an effortless blendability, these shades can be worn either dry or with a dampened brush for more depth of tone. 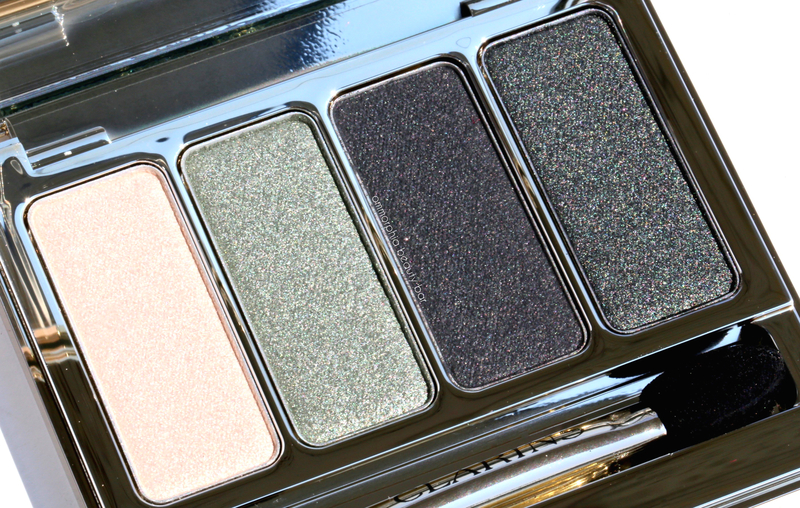 While some Clarins eyeshadow palettes have fallen short of the mark for me in the past, I’m really loving the texture and shades of Forest, finding that these colours make for a truly original (and sultry) smokey eye look, but which can also be made to work for an easy daytime look as well; just stick to the lighter hues and avoid over-blending. 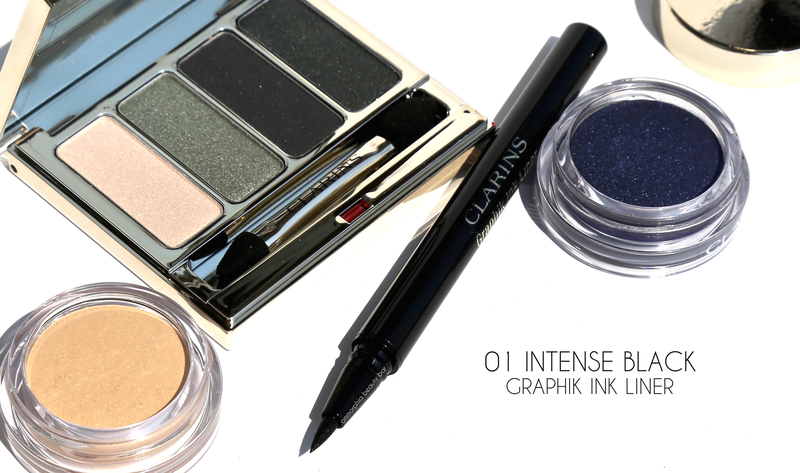 01 Intense Black Graphik Ink Liner (CAN $30.00) | Marker-style eyeliners such as this were made for me (and anyone else who’s ever struggled with liquid and/or gel liners). Made with ‘Carbon Black’ pure pigments, the shade is truly a deep and rich black (and yes, not all black tones are made equal, as some wind up leaning more charcoal), while the felt-tip applicator is soft along the delicate skin of the eyes, but not so soft that it affects the pointed tapered end. Long-wearing without showing any signs of smudging or flaking, it’s also safe for even the most sensitive of eyes and easily removed at the end of the day. Basically, if you can use a pen to write with, you can definitely use this liner to achieve excellent results every.single.time. 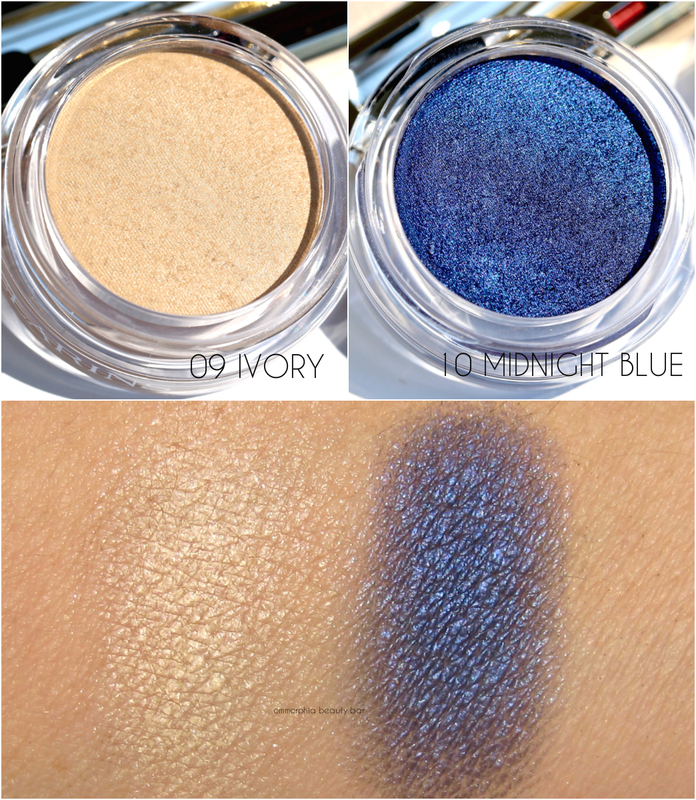 Ombre Matte Eyeshadow (CAN $26.00/each) | Lately I’ve been using cream eyeshadow more and more; for starters, all you really need is your fingers for application and there are days when I can be lazy like that. It just so happens that Clarins also makes some of the absolute best cream-to-powder eyeshadows I’ve tried, with a high pigment formula that is not only easy to blend out (just work one eye at a time to avoid the colour setting too quickly), but with colours that stay true until removed. 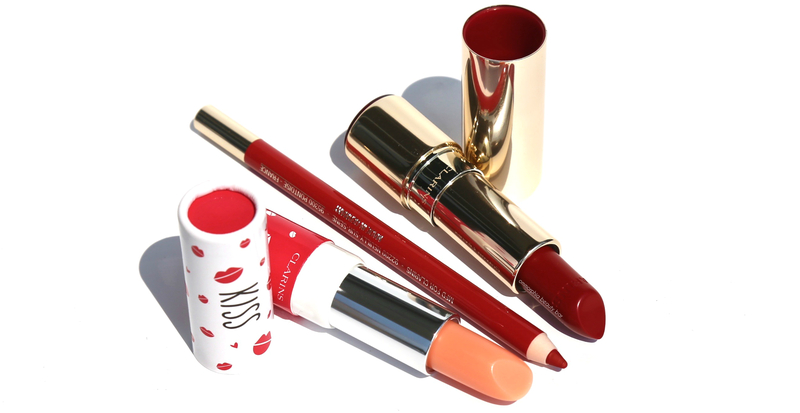 Released with the Graphik Collection are new lipliner and Joli Rouge Lipstick shades (permanent), as well as a new limited edition lip balm that is the perfect accompaniment to wear under a killer hue such as Deep Red. Lovely Lip Balm, limited edition (CAN $18.00) – A creamy ‘melting’ texture and subtle peach flavour, this balm is made with organic cocoa butter and shea oil to nourish and repair, as well as organic red currant for comfort. At the heart of this formula is an “intelligent” pigment that reacts with the lips’ pH levels, developing to provide unique & customizable colour on everyone. BONUS: eco-designed packaging that’s in line with Clarins’ ‘responsible beauty’ approach. 754 Deep Red Joli Rouge Lipstick (CAN $28.00) – A true red that leans neither too warm nor cool, the rich & moisturizing texture is loaded in colour pigments and provides full-on coverage from the first swipe. 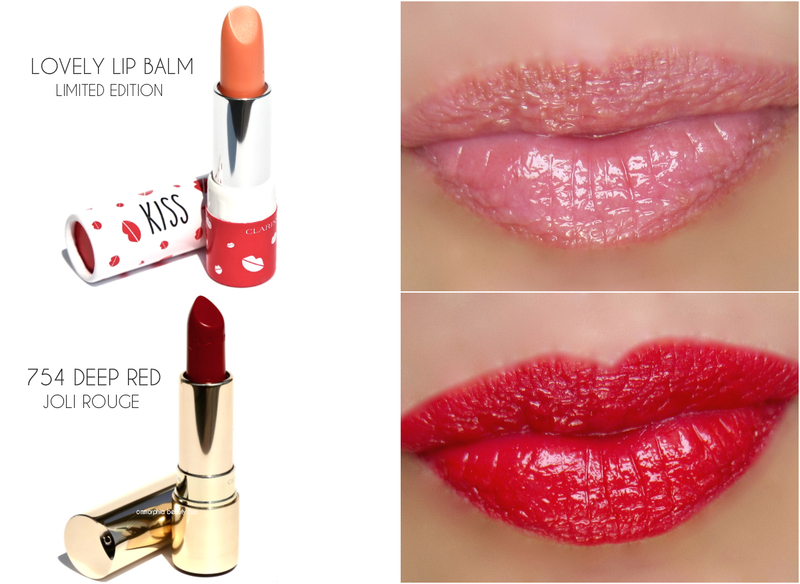 Insanely creamy in feel with an excellent glide along the lips, there is some slip in the formula which means it will need to be reapplied (in particular after eating/drinking), but it’s so gorgeous and feels so nourishing that I totally don’t mind. Long-lasting and fades to a nice deep rose stain. 06 Red Lipliner Pencil (CAN $26.00) – Not shown but applied in the swatch below, this is a stunning red shade with a creamy gliding texture that manages to stay put without slipping, along with providing an anchor for lipstick to keep it from bleeding into surrounding lip lines. 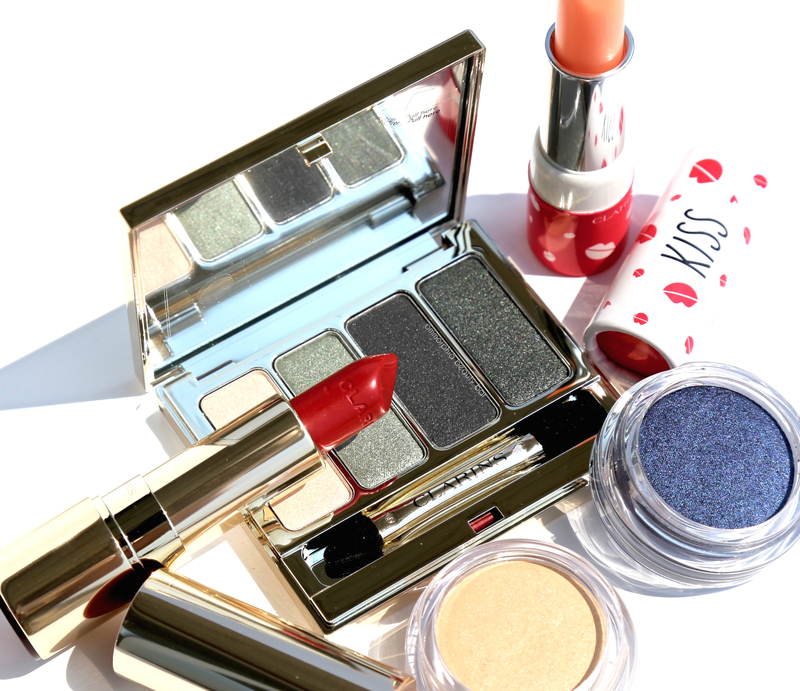 As I mentioned at the start of my post, Clarins is often eclipsed by luxury competitors but in my opinion, this is a brand that not only produces some truly excellent cosmetics and at decent prices as well, but which deserves to be explored. There’s major plant-based science behind each product, meaning that every item is well-thought out to go with the top-notch quality. My faves from this collection? Hands down the red lipstick & matching liner, but it was a tough call because I’ve been loving it all. So basically, everything. 01 intense black ink liner and those 4 eyeshadows! Impression me! 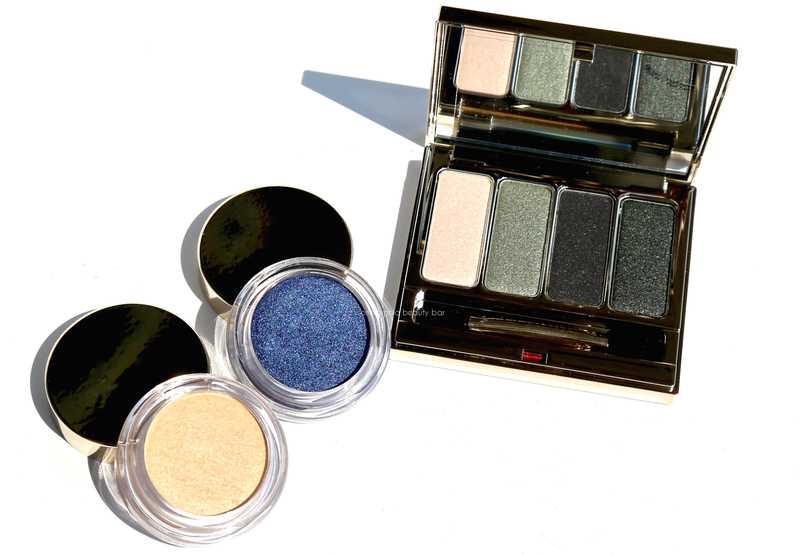 I loved those pot eyeshadows texture so much. 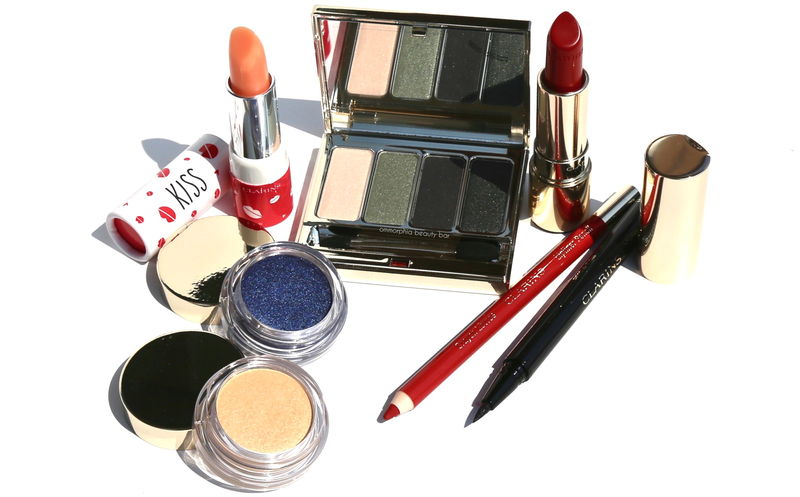 Clarins always nails it with their collections.